Photo from Caribbean Lottery Facebook page. 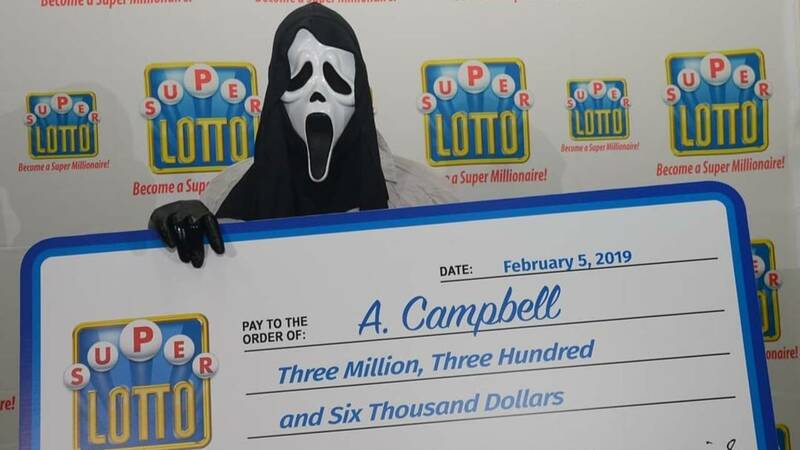 A man in Jamaica who won the Super Lotto showed up to accept his check in what most of us know as the “Scream” mask. The man, only identified as A. Campbell, disguised himself when he collected his check, valued at $158.4 million in Jamaican currency. That works out to about $1.17 million in U.S. currency. Campbell said his winning numbers — 10, 14, 16, 25, 27 and super ball 5 — came to him in a dream. He then purchased the lottery ticket for $200. After the winning numbers were selected, it took Campbell 54 days to claim his winnings. 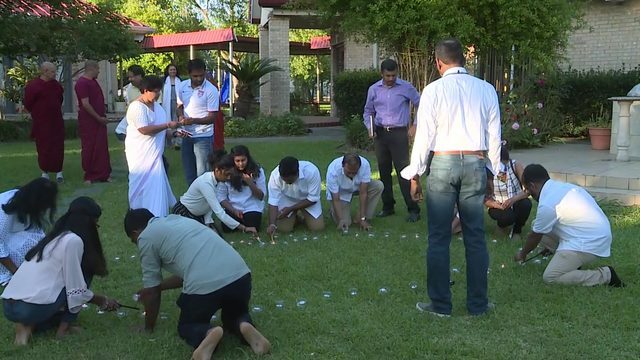 The owners of the Super Lotto even put out advertisements urging the winner to claim the prize before reaching the 90-day deadline. “Sometimes I feel so much pain, I forgot that I had won," he said. Campbell said his life of struggle will be changed, and his first goal is to buy a home. "I want to get a house. I want to get a nice house. I haven't found it yet, but I'll be looking for one soon,” he said. Campbell was the 17th winner of the Super Lotto from Jamaica.